God has great news that He so wants you to hear and believe! God is a Savior God. He wants all who hear His message to be saved. That is why He sent His own Son into this world, and He was named "Jesus" which means "the LORD saves." God knows that you and I are in a terrible state and would be forever in that state if He had not sent His Son to save us. God knows that there is not one good, righteous person in the world. That means, that everyone has done evil. We have said wrong things and acted in wrong ways. We take things that do not belong to us. We want things that do not belong to us. We do not honor our parents. We do not love others. We do not tell the truth. We treat others wrongly. God knows this and has it written down that "there is none righteous, no, not one" and that "all have sinned", which means all have missed the mark of living a perfect life. Perfect righteousness is the only way that you or I could be with God. God is perfect. God is righteous. If we have done wrong, then God has to punish it. If we have done even one thing wrong (maybe just a wrong thought), God has told us that He will give us what we deserve - that is judgment. We will be forever separate from God in horrible torment. If God did not give us what we deserve, He would not be righteous. But the wonderful, GOOD NEWS is that God has made a way for all to be rescued from the judgment we deserve. And God did it through His Son. God's Son, the Lord Jesus, was perfect. So He did not deserve God's righteous judgment. But in great love, God put all of our sins on Christ Jesus, and Christ died for our sins. He was a substitute. He took what we deserved. This made a way for God to be able to forgive us for our sins and yet He still is righteous. If you ask God to save you through the blood of the Lord Jesus, you will be saved. That is why the Lord said in His Word (the Bible) that "Whoever calls on the name of the Lord shall be saved." This is in Romans chapter 10 verse 13. You see, God is satisfied with what Christ did, and so He raised Him from the dead. All that needed to be paid was paid in full. So then, if you believe in Christ, God is righteous in saying that you are righteous, because Christ actually paid what you deserved. So will you tell God the truth about your sins? Will you confess to God that you have done wrong and deserve to be punished forever? Will you believe that Christ took all your sins on Himself and died for them? Will you ask God to save you from your sins through the blood of Christ? What wonderful news! I can know I am going to heaven if I just trust in God's word about His Son! I can know I have peace with God if I have put faith in the Lord Jesus Christ! That is what God said in Romans chapter 5 verse 1 - "Therefore having been justified (declared righteous) by faith, we have peace with God through our Lord Jesus Christ." 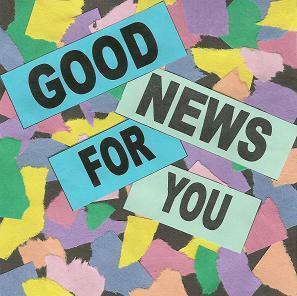 Here are some others verses from God's Word, the Bible, that tell you about this Good News. If you would like to learn more about the Lord Jesus and God's good news, please call or email us and we will be glad to talk with you or send you more things to help you.